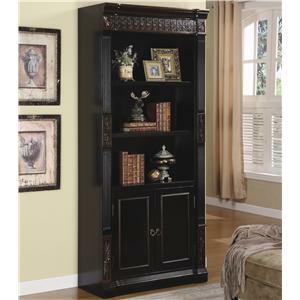 This open bookcase features three open shelves, accent beveled edges, a moulded case top, a rich cappuccino finish and two doors with contemporary square hardware. 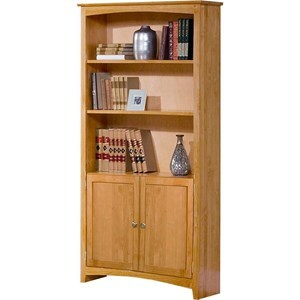 Create a custom sized library in your office when you order one or several of these storage cabinet bookcases, which are designed to be bunched together or featured singularly. 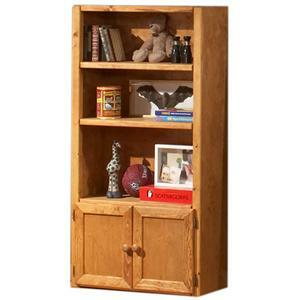 The Garson Open Bookcase with Storage Cabinet Base by Coaster at Sadler's Home Furnishings in the Anchorage, Fairbanks, Sterling, Alaska area. Product availability may vary. Contact us for the most current availability on this product. 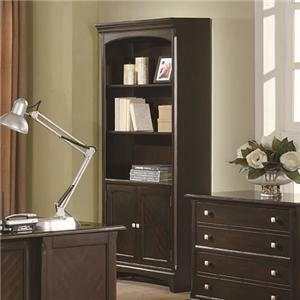 The Garson home office collection features a variety of desk options with plenty of storage drawers, a file cabinet and bookcase to keep you organized and productive. Finished in a rich cappuccino stain with contemporary square brushed nickel drawer pulls, the cases feature recessed paneling and tapered block feet. 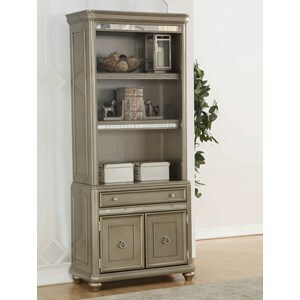 Drawers feature smooth drawer glides, and the credenza hutch comes with a task light and wire management provisions. 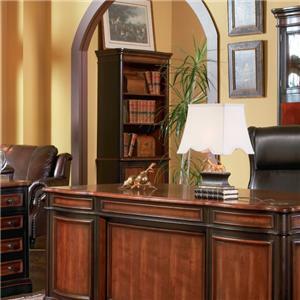 Select from the kneehole credenza and hutch, L-shaped desk and double pedestal desk for the desk type best suited to your home office needs and feature the Garson collection in your home today. 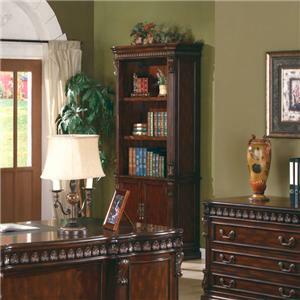 The Garson collection is a great option if you are looking for Casual furniture in the Anchorage, Fairbanks, Sterling, Alaska area. 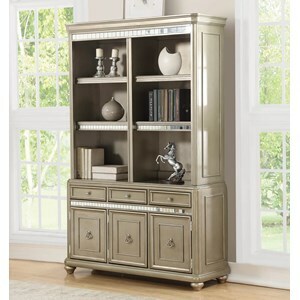 Browse other items in the Garson collection from Sadler's Home Furnishings in the Anchorage, Fairbanks, Sterling, Alaska area.